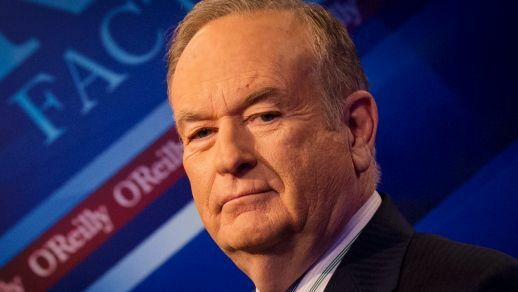 In a move that shocks much of the news world, the parent company of Fox News, 20th Century Fox, announced their top-rated cable news host Bill O’Reilly will not be returning to the network after his Italian vacation. The Murdoch Family, which owns 20th Century Fox, weighed all the relevant evidence and allegations of sexual harassment leveled at O’Reilly against the fact that for most of the 21 years O’Reilly has been on the air at Fox News he’s been the highest-rated cable show on the air, before making the decision to let him go. “After a thorough and careful review of the allegations, the Company and Bill O’Reilly have agreed that Bill O’Reilly will not be returning to the Fox News Channel,” the company said in a statement. Originally they had stood by their top earning talent, but after scores of advertisers left the network, or at least O’Reilly’s show, “The O’Reilly Factor,” the Murdochs bowed to pressure from the public and advertising clients. This was despite the fact that Fox News and (or) O’Reilly paid over $13 million in settlements due to sexual misconduct, as reported by the New York Times. Pressure has been mounting as advertisers pulled their ads from the “O’Reilly Factor.” It’s a big deal because, according to Kantar Media “The O’Reilly Factor” brought in over $446 million in ad revenue between 2014-16. For 20th Century Fox to cut loose that kind of money generating program the evidence had to be very strong. Last year Fox News founder and CEO Roger Ailes was fired for the same reasons, after he was publicly accused by one of the network’s most popular hosts, Gretchen Carlson, of sexual harassment. More women who work — or had worked — at Fox News came forward with similar stories relating to Ailes after Carlson made her allegations. The O’Reilly Factor” has been almost commercial-free since the New York Times report. Other women have come forward to make similar claims and one Wendy Walsh, did so publicly on TV. It was also reported that women employees at Fox News were uncomfortable with O’Reilly not being punished for his alleged actions. Sexual Harassment isn’t a new wrinkle in the Bill O’Reilly story. In 2004 he was sued by former Fox News employee Andrea Mackris that reportedly included recorded telephone conversations with O’Reilly making very lewd sexual comments that included loofahs and falafels. It became the main diet of late night talk show hosts looking for easy laughs. O’Reilly settled that quickly, the recordings of his conversations with Mackris sealed. A replacement for O’Reilly hasn’t been named yet. Their most popular rising star, Megyn Kelly, left Fox News for NBC earlier this year, due in large part to the atmosphere at Fox News. 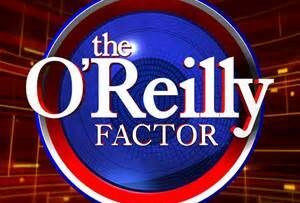 One thing seems certain: whoever fills O’Reilly’s time slot will not generate the 3-4 million viewers per day or the advertising payday they enjoyed with “The O’Reilly Factor.” That was due to O’Reilly’s large and loyal following. Even as the controversy grew and advertisers left the show, O’Reilly’s ratings increased. But, as 20th Century Fox learned, advertisers are more important than viewers.